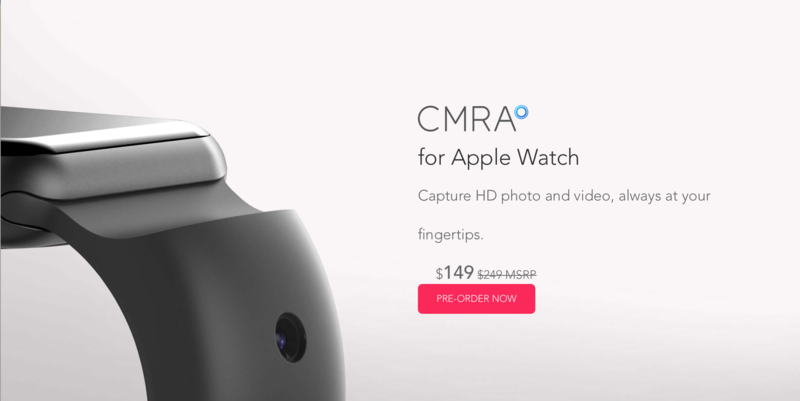 I just saw this new product called CMRA, a band for your Apple Watch that has not one but two cameras built into the strap. There’s one 8MP camera for taking pictures of the world around you, and a 2MP “front facing” camera for selfies and FaceTime calls. This is very interesting, as we have been talking about watch bands that actually add functionality for a long time, and CMRA is the most substantial example of a band doing this. If the camera on this thing are solid (and that’s a big if) this could be a great accessory for those who want a camera on their wrist. One thing I noted in the video that they have on their site is that there is a disconnect between where they are holding the watch on camera and where they would need to hold their wrist to get the selfie angles they were showing. It’s going to be very awkward to hold your wrist at eye level to get FaceTime-like shots.